Film star and Janasena President Pawan Kalyan has always been voicing against the centre over the promised special status to Andhra Pradesh. After a long gap​, Pawan once again took to his Twitter this afternoon and tweeted his support to all the political parties that are fighting for the special status. Pawan particularly​ appreciated senior Congress leader Raghuveera Reddy who is spearheading the special status movement that’s being held in Guntur today. 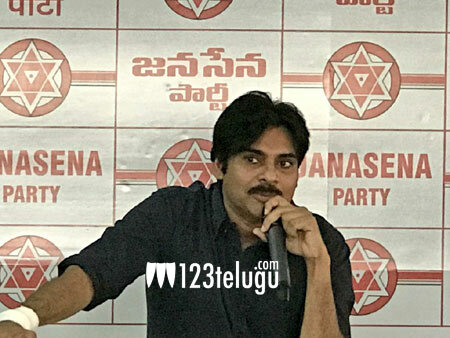 Pawan further urged all the political parties to come under one roof in the fight for special status. Pawan, who was invited by Raghuveera, said he could not make it to the meeting in such a short notice.